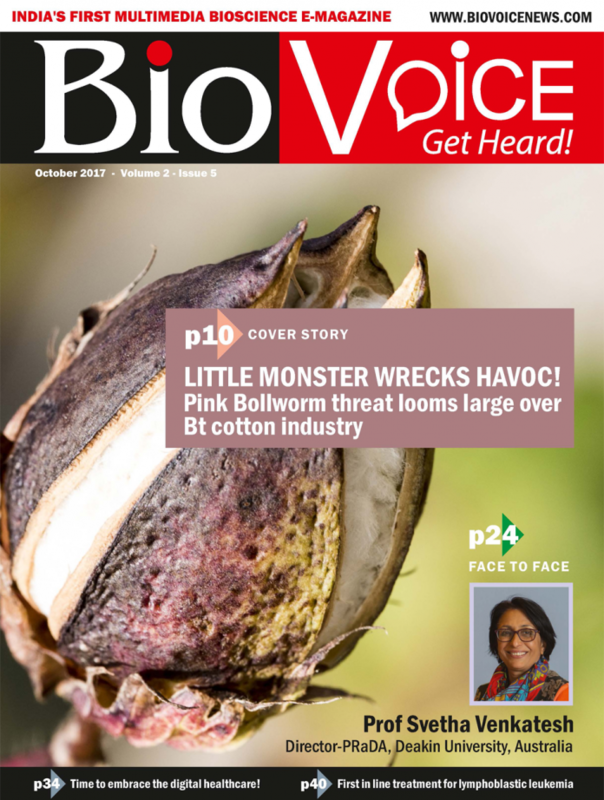 The ‘October 2017’ edition of BioVoice magazine in its detailed ‘Cover Story’ focuses on the serious issue of pink bollworm that has cast its shadow on Bt Cotton sector. The ‘Face to Face’ features Prof Sveta Venkatesh of Deakin University who talks about her collaboration with the Max Healthcare on data analytics for healthcare management in India. The ‘Expert Corner’ article this time focus on how virtual apps and telemedicine will define the future of healthcare delivery while explaining their utility especially in the context of diabetes. In the ‘BioChat’, Mr Vineet Singhal, Country Head, Shire India shared his detailed views on his company’s activities as well as the social and policy aspects related to rare diseases. 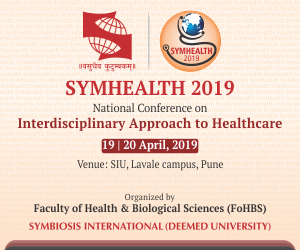 Also, Ms Margaret Faux, Chief Executive Officer, Synapse Medical Services talks about the reasons behind establishing an office in India, digital healthcare opportunities in the country. Much more to explore in this edition.